There is a tendency to make flow measurement a highly theoretical and technical subject but what most influences quality measurement is the practical application of meters, metering principles, and metering equipment and the use of quality equipment that can continue to function through the years with proper maintenance have the most influence in obtaining quality measurement. This guide provides a review of basic laws and principles, an overview of physical characteristics and behavior of gases and liquids, and a look at the dynamics of flow. The authors examine applications of specific meters, readout and related devices, and proving systems. Practical guidelines for the meter in use, condition of the fluid, details of the entire metering system, installation and operation, and the timing and quality of maintenance are also included. 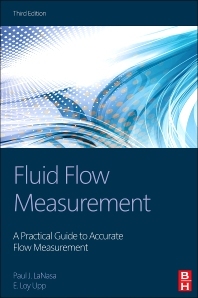 This book is dedicated to condensing and sharing the authors' extensive experience in solving flow measurement problems with design engineers, operating personnel (from top supervisors to the newest testers), academically-based engineers, engineers of the manufacturers of flow meter equipment, worldwide practitioners, theorists, and people just getting into the business. Paul LaNasa currently functions as a Consultant serving industry and manufacturers in instrumentation and energy resource management. Prior to this he was President of CPL & Associates, Senior Vice President, Director of Marketing at Nutech Industries and served on the Board of Directors. He also worked for 14 years in the oil and gas industry with Daniel Industries (now part of Emerson) and has worked with the Boeing Co. doing technical analysis in thermodynamics and life support and environmental control on the Apollo program. Paul is the recipient of the American Gas Association's (AGA) Silver Award of Merit, the International School of Hydrocarbons' Laurence Reid Award for outstanding contributions to hydrocarbon-fluid measurement, and the American Petroleum Institute (API) Certificate of Appreciation and 25 Year Citation of Service. During his career he has been active in the American Society of Mechanical Engineers (ASME), the Instrument Society of America (ISA), the American Gas Association (AGA), the American Petroleum Institute (API), the International School of Hydrocarbon Measurement (ISHM), the National Bureau of Standards (NBS), the Southern Gas Association (SGA), and other schools and societies. 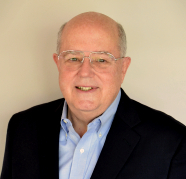 E. Loy Upp is the recipient of the American Petroleum Institute (API) Certificate of Appreciation, International School of Hydrocarbons' Laurence Reid Award for outstanding contributions to hydrocarbon measurement. Loy has been active in the American Society of Mechanical Engineers (ASME), Instrument Society of America (ISA), American Gas Association (AGA), American Petroleum Institute (API), International School of Hydrocarbon Measurement (ISHM), National Bureau of Standards (NBS), Southern Gas Association (SGA), and other schools and societies.